On 27 November 2015, Morocco deposited its instrument of accession to the Hague Convention of 5 October 1961 Abolishing the Requirement of Legalisation for Foreign Public Documents (the "Apostille Convention"). Following the usual procedural steps, the Convention will enter into force for Morocco on 14 August 2016, making it the 110th Contracting State to the Convention. 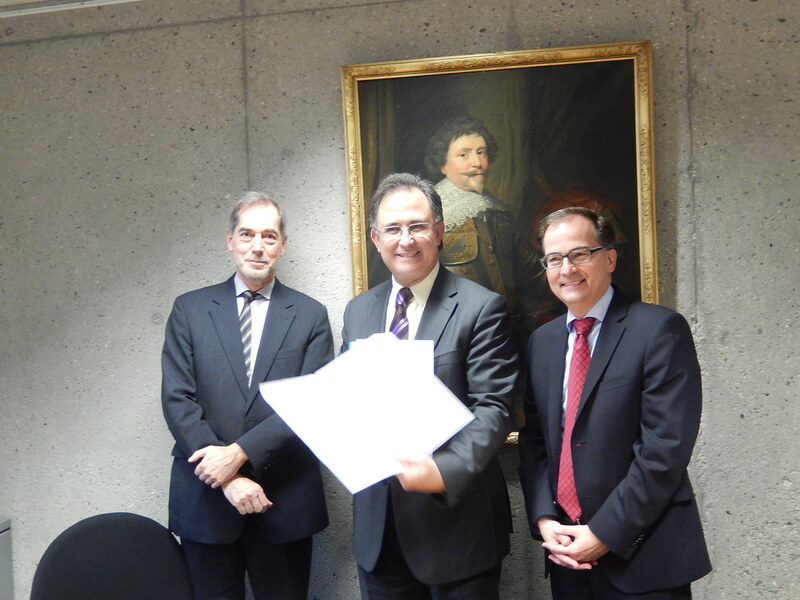 At the ceremony, which took place at the Ministry of Foreign Affairs of the Netherlands (i.e. the Depositary), H.E. Mr Abdelouahab Bellouki, Ambassador of Morocco, and Counsellor and Deputy Head of Mission Mr Abdelkader Abidine represented the Embassy of Morocco. On behalf of the Depositary, Head of the Treaties Division Mr Joseph Damoiseaux and Legal Officer Mr Mark Groen also attended the ceremony. Secretary General Mr Christophe Bernasconi and Principal Legal Officer Ms Mayela Celis represented the Permanent Bureau of the Hague Conference on Private International Law (HCCH). Pursuant to Article 12 of the Apostille Convention the Depositary shall give notice to the Contracting States of the accession of Morocco.